We would like to express our sincere thanks for Mr. Tam and a group of runners and volunteers from Hong Kong, Mainland, Macau and Taiwan. A Little Run Around Hong Kong for Charity has raised over HK$297,173 for Hong Kong Cancer Fund. This generous donation will help sustain our on-going free cancer care services and make life better for people touched by cancer. 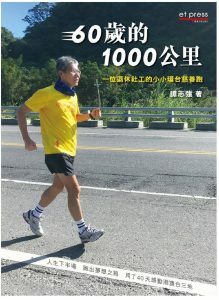 You can also support Mr. Tam’s new book and share his positive energy and love to everyone. Strides for Life: Mount Everest Base Camp Charity Hike for Prostate Cancer Mr. Raymond Fung, founder of Moving Concepts, will start the climb to Mount Everest Base Camp from 17 February to 4 March 2018 to raise funds for Hong Kong Cancer Fund in support of its free prostate cancer care services. 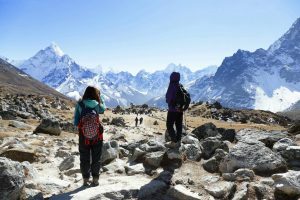 This challenge consists of hiking up to 5,550 metres in altitude, from Lukla, Nepal, passing the base camp and coping with the extreme weather. Let’s support Raymond’s extraordinary journey by donating and helping people touched by cancer.